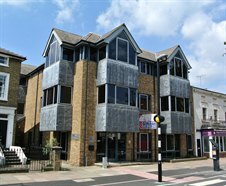 Cattaneo Commercial are pleased to confirm that they have concluded the sale of Maple Leaf House, Maple Road, Surbiton, a 6,100 sq ft detached office building on behalf of the Receivers. There was strong demand for this building from developers, investors and owner occupiers. If you are considering selling or letting your commercial premises in Surbiton, please contact Andy Armiger on 020 8546 2166 as we have a number of buyers waiting.